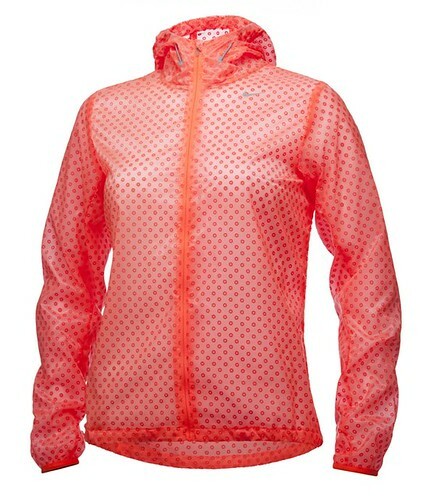 Nike introduces its Spring 2012 collection led by the LunarEclipse+ 2. This shoe is perfect for those who pronates and needs stability but still wants a lightweight shoe. A different pair of feet, a different shoe mould, a different fit but the same dream experience. The shoe is set to offer runners the perfect customized fit with the introduction of Dynamic Fit Technology. 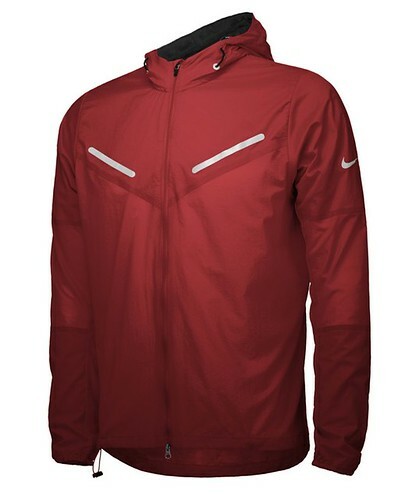 Also in this year’s Nike Spring Collection is the Hurricane Vapor Jacket (Men’s) and the Cyclone Vapor Jacket(Women’s) which are designed to protect runners from the rain. Introducing Dynamic Fit for unparalleled comfort and performance for every athlete. Philippines, January 15, 2012 – A different pair of feet, a different shoe mould, a different fit but the same dream experience. The LunarEclipse+ 2 is set to offer runners the perfect customized fit with the introduction of Dynamic Fit Technology. Created in Nike’s Innovation Kitchen and Sports Research Lab, Dynamic Fit is designed to eliminate the space between the foot and the shoe for a customized fit that feels like the ‘second skin,’ no matter the foot size or shape. Dynamic Fit technology features soft material that wraps like fingers around the mid-foot and arch for a glove-like fit. The perfect fit can be achieved with a simple motion of tightening the laces, which are connected to the Dynamic Fit mid-foot cage for the perfect wrap. Pushing innovation limits to help runners achieve their full potential, the LunarEclipse+2 also features ultra-soft Lunarlon cushioning for a smooth ride and the innovative Dynamic Support stability system that works in tandem with the Lunarlon cushioning to for an easy, gradual transition and a smooth ride. Dynamic Support is a two-part midsole system working in tandem with the ultra-plush Lunarlon cushioning to provide stability and support. Opposing wedges of foam move the runner from soft to stable as the heel lands and the foot flexes down, providing for an easy, gradual transition and a smooth ride. The Fitsole 4 sockliner provides extra support and comfort by combining two densities of foam – one more resilient, one a little softer for increased smooth transition. The LunarEclipse+2 also features a TPU heel cup that works with the heel clip for superior fit and support. Marrying art and innovation, Nike partnered renowned make up and body paint artist Joanne Gair to bring to life the concept of ‘second skin.’ A natural collaboration choice, Joanne Gair embodies the same passion and attention to detail in honing her craft, mirroring Nike’s own obsession over every aspect of craft and design. Joanne Gair painting the LunarEclipse+2 on model’s bare feet. To complete the runner’s attire, the Hurricane Vapor Jacket (Men’s) and the Cyclone Vapor Jacket (Women’s) are the perfect complements to every runner’s wardrobe as we exit the tail end of the monsoon season that plagues the region. Both the Hurricane Vapor Jacket and the Cyclone Vapor Jacket are designed to protect runners from the rain and wind without the extra warmth of a heavy jacket. The light sheer fabric shell made of ripstop fabric is internally flocked (fibres adhered to the surface in a pattern) to maximize breathability by preventing the jacket from sticking to the skin. Showcasing innovative attention to detail, the lower-back pocket on both jackets serve as both storage and on-the-go option when the runner wants to pack the jacket into itself. Watch the video of the Nike LunarEclipse +2 showing Nike Running footwear design director Rob Dolan talks about the shoe’s features, his inspiration during the design process.